It’s unique. It’s interactive. It’s a photo favor. 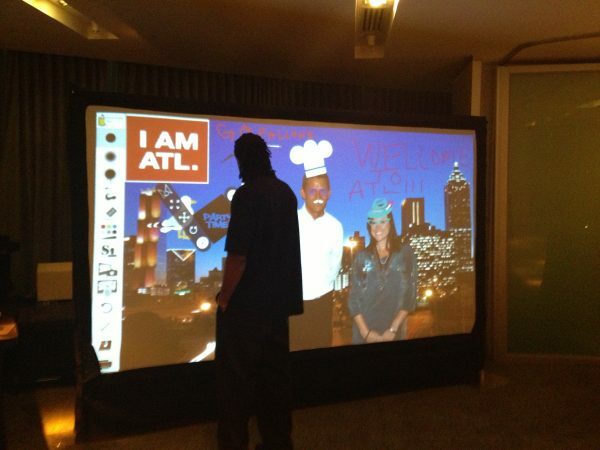 Our Virtual Graffiti Wall allows your guests to interact with a green screen photo of themselves. They use the special infrared spray paint cans to virtually draw on their own photos or custom background and make giant works of art. Their creations are printed as a 5″ x 7″ photo that includes a custom footer for your event. 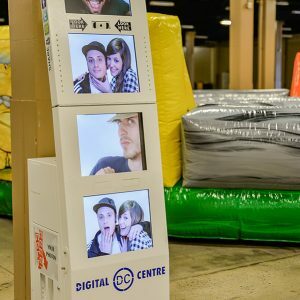 The Virtual Graffiti Wall is the perfect interactive addition to any event or trade show booth.